Nelke & the Legendary Alchemists: Ateliers of the New World has finally received an official release date. KOEI TECMO America have also released some new info about the game which you can read about down below. This new Atelier entry releases on March 26th 2019. It will be available physically and digitally for both PS4 and Nintendo Switch. It will also be released digitally on Steam for Windows PC. NIS America’s online store will have an exclusive Collector’s Edition for sale. It comes with a copy of the game, a hardcover art book, the game’s soundtrack, a cloth poster and an acrylic standee featuring Nelke, the main character. Plus it will all be contained in a collector’s box featuring artwork of various alchemists who appear in the game. 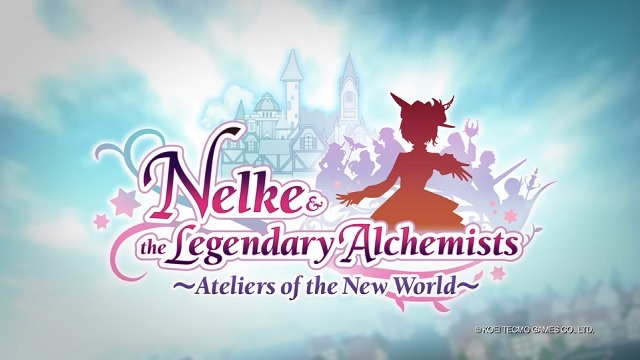 In Nelke & the Legendary Alchemists: Ateliers of the New World players assume the role of young noblewoman, Nelke von Lestamm; tasked with building up the quaint village of Westwald into a prosperous city. For her to develop buildings and extend the size of Westwald, she will need to earn money from the businesses she runs or sell synthesized items for cash. Exploring the areas outside of Westwald with alchemists allows Nelke to collect raw materials perfect for synthesis. Though she is inexperienced in the art of alchemy, she’ll have to entrust one of the many alchemists in town to synthesize the resources into sellable goods. Each alchemist has their own specialties which allow them to offer improved item creation – players will have to carefully decide what would be the most effective alchemist for which items. A Weekly Report is prepared at the end of each week which shows the current town population, the amount of income made, number of properties, and the number of synthesized items. Using this report, players can decide how they will spend their time in Westwald, perhaps they will tackle quests and town development during the weekday and develop relationships with residents on the weekend. As Nelke spends time with people in Westwald she’ll deepen her bonds with them leading to not only exciting events between characters, but new town facilities and alchemist skills which aid in both synthesis and battle! You can visit the official website to view the game’s trailer if you haven’t yet and/or find links to KOEI TECMO’s social media pages.